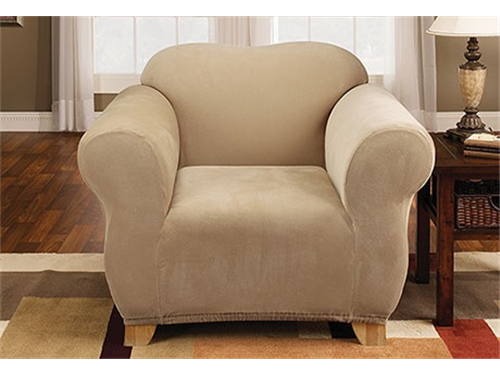 Sure Fit Stretch Stretch Honeycomb Two Piece Slipcover. Available styles: Chair, Loveseat, or Sofa. Available colors: Cream, Coffee, Khaki, Hunter, or Wine. Fiber content: 94% polyester, 6% spandex. Can supply breakdown of styles and colors upon request. Retail-ready Packaging: poly vinyl bag with insert.